Christian Metzner founded his practice in 2006, in Berlin and Brandenburg. The young label is characterized by a timeless, clear design, whose formal rigor is always broken with pleasure. Through subtle, imaginative details and an unusual choice of materials for the hand-made products, the Brandenburg designer Metzner plays with the ambiguity of his hometown. 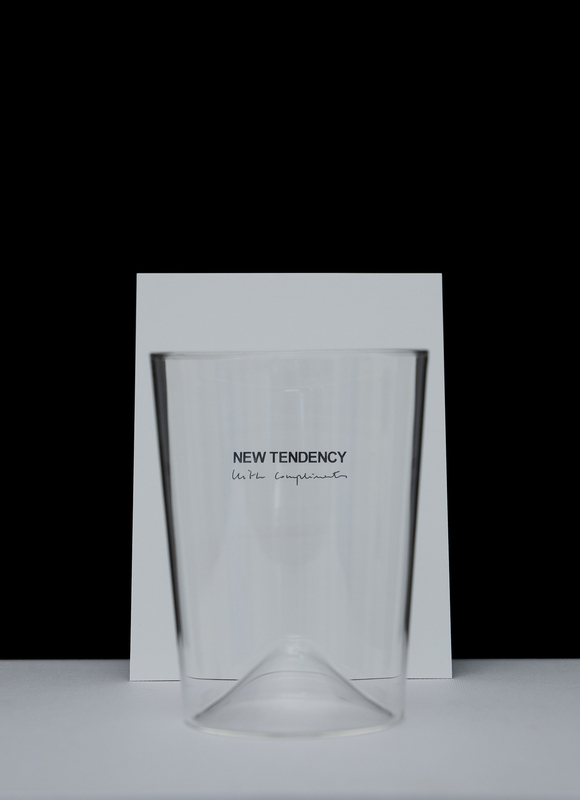 For New Tendency, a smart glass collection was developed – delicate and stackable. The perfect vessel for a drink at the bar, a wine or even just some water – sophisticated and minimal. Cone-shaped with a curved base, the glass Rien is not only unique in its form, but also functional: when the base is full, it measures exactly 4cl. Produced from borosilicate glass originally used in scientific research, Rien’s robustness and heat resistance come from this material’s unique properties. Available in 200ml and 300ml sizes. New Tendency offers worldwide shipping. Enjoy.